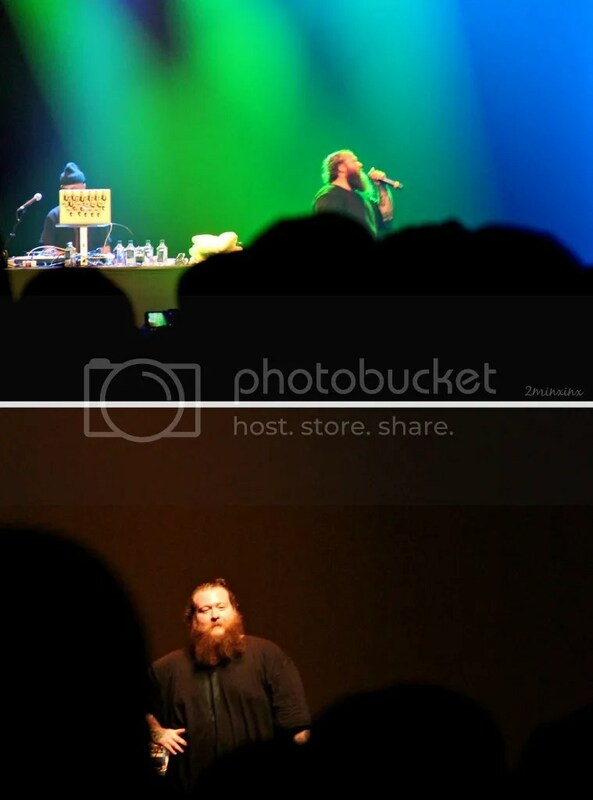 Action Bronson was performing at Terminal 5, the line was ridiculous, it wrapped around the corner! Luckily for us, Chris has a great hook up and we just walked right in from the back door. The place was packed, and almost every other person in the crowd resembled Action in some type of way, I saw a lot of red beards. We got to the VIP section, but honestly, I had a better time at the bar hanging out with Q and J, some of Chris’s friends (who actually performed in the Music Was the Case showcase | See that post HERE) we were sipping on beers and bopping to the music. At point, everyone started screaming more than usual, it all happened so quickly… a fan jumped up on stage while Action was rapping, he dropped the mic, threw the guy off the stage (picked him up) and grabbed his mic right back up without missing a beat. it was incredible! See him do that HERE.